The Environmental Protection Agency wasn’t always home to climate deniers and industry goons focused more on cutting regulations than protecting humans. In fact, the agency might have saved more lives than even it previously estimated. In a paper published Monday in the Proceedings of the National Academy of Sciences, researchers at MIT found that the agency’s Clean Air Act led to reduced particulate matter emissions that kept 84,000 more people from dying prematurely between 2000 and 2010 than the agency estimated in 2011. Particulate matter comes from vehicle emissions and wildfires, among other processes, and it can injure the lungs and heart when inhaled. The dangerous matter is made up of different tiny particles and liquid droplets, including organic aerosols, which can either form immediately out of, say, a vehicle emission or develop in the atmosphere over time from chemical reactions that result from industrial emissions. The EPA’s 2011 report about the Clean Air Act’s benefits didn’t look at any organic aerosol measures in analyzing particulate matter. People in poorer neighborhoods, who are often people of color, tend to breathe more of these dangerous pollutants, according to growing body of research. If a community is home to more Latinos or black people or Asian-Americans, it’s likely to have higher pollution rates, too. Organic aerosols can come from both human processes—think trucks and residential fuel burning—as well as natural processes like wildfires. Guess which of the two was to blame for the overall reduction? You got it: people. And that’s because of the Clean Air Act (sorry, people aren’t that great). 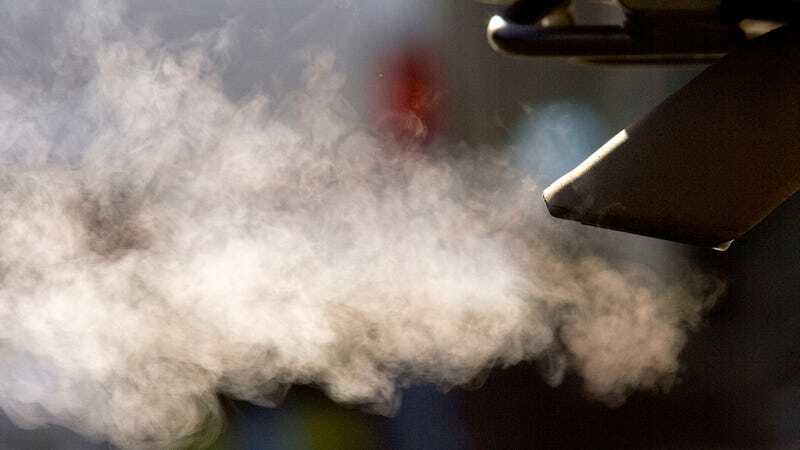 Since its inception in 1970, this landmark environmental regulation has helped reduce air pollution from factory smokestacks, car tailpipes, and even the burning of wood in our homes. However, the Trump administration doesn’t seem too keen on upholding the Clean Air Act. For one, Trump’s begun the formal process to repeal the Clean Power Plan, which was supposed to use the Clean Air Act to guide its implementation. We know natural emissions of organic aerosols are likely to rise as more wildfires break out, but this study’s authors assume anthropogenic emissions of these aerosols and other particulate matters will continue to decrease as technologies and protections advance. In the era of Trump, I wouldn’t be so sure.